Opioid use in Ohio has decreased every year since 2011. In 2017, The number of opioid-dependent injured workers under treatment in the Ohio Workers’ Compensation system fell 19%. The Bureau’s initiatives to reduce opioid abuse among injured workers has received national acclaim and the Bureau’s Pharmacy department has won two consecutive innovation awards. 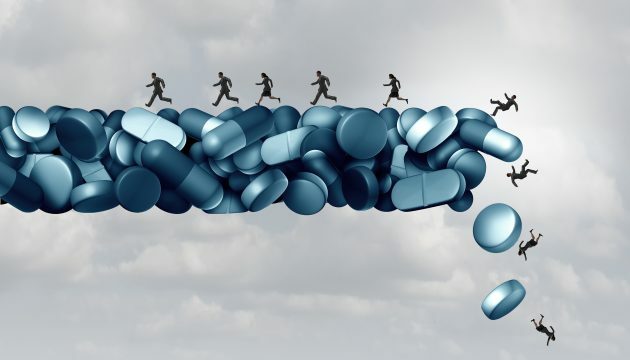 A study of 337,000 workers compensation claims in 25 states found that 55 to 85 percent of injured workers who missed seven days or more of work received at least one opioid prescription. In fact, studies over the last decade suggests a rise in reports of chronic back pain have led to an increase in surgeries and in increase in the over prescription of opioids with limited improvements in outcomes. On January 1, 2018, the Bureau rolled out another rule (Ohio Admin. Code 4123-6-32) designed to reduce overprescribing opioids for injured workers who undergo spinal fusions. The rule requires an injured worker to undergo at least 60 days of alternative care, while avoiding opioid use, before resorting to spinal fusion surgery, with a few exceptions for the most severe back injuries. The rule embeds an opioid warning specifically into its surgical restriction. Not everyone perceives the Bureau’s new rule positively, as the rule has received criticism from surgeons and pain managers alike. Nevertheless, the Bureau considers opioid addiction its most pressing concern and it considers non-invasive treatment for chronic pain will lead to better outcomes, which will reduce lost productivity in the state. On April 13, 2018 Bugbee & Conkle will address the opioid crisis in more depth at its Annual Workers’ Compensation Seminar. You can register for the seminar by clicking here.